The Gothic-revival style of The Livingston Inn is modeled after the Pickering House in Salem, Massachusetts. The vaulted ceiling and linen wallpaper of the Pickering Room convey the grandeur of the architectural origin. 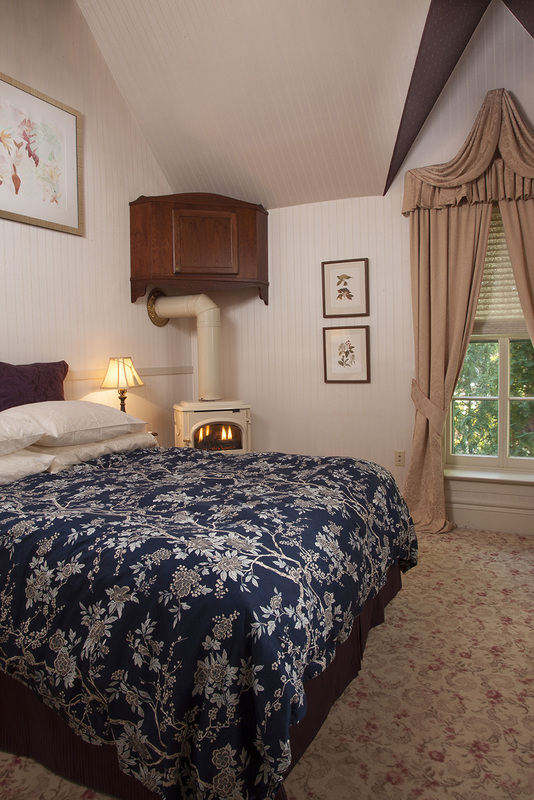 The room offers the privacy of the former servant’s quarters and includes a separate sitting area. Its spacious bathroom boasts of being the first indoor facility in the City of Madison. Guests will enjoy a queen-size bed, decorative gas stove, and private bath featuring a delightful shower with body sprays.